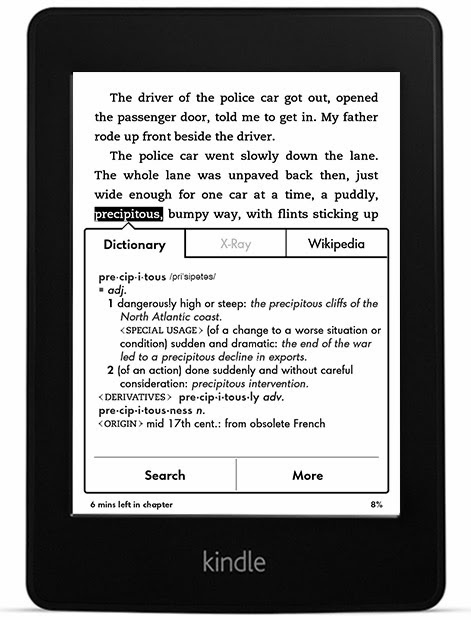 Recently, I just bought an Amazon Paperwhite device for reading. Unlike the normal tablets out there be it Android or Apple, this is not too bright and it is in fact very nice for the eyes when compared to the other tablets. The secret is in its special ink technology and therefore, you will also need to get a special type of screen protector for it too. Well more on that next time. What I want to talk about today in about the "Special Offer" you might had mistaken opt in for during the purchase of Paperwhite or another Kindle device. In plain simple text, "Special Offer" = Advertisements. Yes, that is basically all to it. And you CAN actually pay additional $20-30 to buy the non-"Special Offer" edition. But I guess if you are reading this, its too late anyway. Well, not really, if you live in USA, you can still pay the difference and have it removed. Or if you think you can convince Amazon that you are not in the USA, then you can have it done for FREE! Yes, I am not joking. Because all the ads are targeted for USA, non of them will work anyway even if you click on them! On this basis, there is an excuse to remove the ads since it is a waste of bandwidth (and precious reading space). So, how would one go about with this? First, login to your Amazon account (which no-brainer should be a non-USA account). Then lodge in a request for support and select through the options ending up with something like "the advertisements link does not work". If not, just manually complain this. In any case, tell the support personal (nicely) that you are not in the USA and request them to remove the ads. They will. Well, not to encourage everyone to use this exploit, but I think some of the offers are good if you can use them. But otherwise, I think this is a great idea to claim back some reading space (and USD$20) from Amazon.